A previous Sunday Supper entrée at Pizzaiolo. For the past two years, this every-other-month philanthropic Sunday Suppers series organized by Oakland restaurateur Charlie Hallowell (Pizzaiolo, Penrose) has operated on a simple principle: Every time a prominent East Bay restaurant donates a single night’s worth of sales (often on a night when it would normally be closed anyway), it can raise somewhere in the ballpark of $10,000 for a worthy local nonprofit. 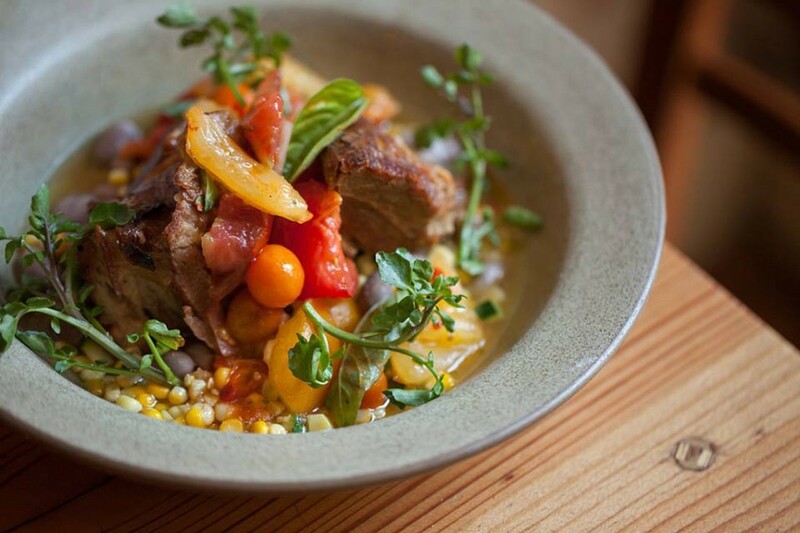 That tradition continues this week at Pizzaiolo (5008 Telegraph Ave., Oakland), where the $60–$100 sliding-scale prix-fixe menu will buy you a family-style feast featuring beef short ribs with fava beans and olive oil cake with strawberries and cream. Wine is included in the price of the meal. Proceeds from this month’s Sunday Supper will benefit Youth UpRising, an East Oakland-based youth leadership program. Tickets are available via Brown Paper Tickets.